Do you have a home in Bangalore, but are currently living in another city or country? Are you facing problems in finding good renters for your apartment or house? Is maintenance of your property a daily headache, that you need someone to take out from your hands? 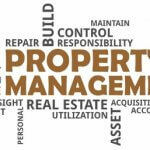 The solution to all your property and rental management woes is -Apnnaghar, which is one of the superior property management services in Bangalore. There are many accolades of Apnnaghar as customer testimonies and countless stories where people have become light hearted due to intervention of Apnnaghar- the best property consultants in Bangalore. A retired couple in Bangalore, recently had relocated with their son, working in Pune, due to their health reasons and need for constant care. Their home, a beautiful four-bedded individual bungalow was too much for them to handle alone and once they left, was very difficult to maintain. They told us, they would ask relatives whom they had given a spare key to clean the house once a week and pay the society maintenance bills, but to no avail. Though they could get the help for a few months, everyone eventually couldn’t keep us the charade and the house maintenance fell through. That is when they realized, things could get better if they rented the house, that way it could be maintained. But ,they were not able to find renters with a stable background, or were not able to trust their home, beautifully built and furnished to complete strangers. When they heard about the previous successes of Apnnaghar, one of the known property management services in Bangalore, they decided to give a try and have not regretted their decision till date. Within two weeks of signing up with Apnnaghar, best property consultants in Bangalore, they found renters with full background checks and are currently not have to worry about their home in Bangalore. This is only one of the many stories. We dream of settling the children in a home of their own and not to worry, but often life works in different ways. Another young couple were gifted an apartment by their parents, at their wedding, but luck would have it that the son found a job in Hyderabad, so the newly married couple could not settle in Bangalore at the time. Not knowing how to manage the young couple decided to keep Apnnaghar to manage the apartment in terms of payment of maintenance fee or monthly cleaning and looking for possible renters. They are currently very happy after signing up with Apnnaghar that provided them with property management services in Bangalore. They are also looking forward to start the next phase of life in Bangalore in a few years, coming back to their safely guarded and maintained apartment. An aged lady who had lost her husband recently and whose sons lived abroad, wanted to stay back in her home town of Bangalore, while shifting to a smaller place. But without any help, she wasn’t able to find prospective tenants to her beautiful independent house. She got many offers but no one was ready to handle her beautiful home on the time of absence and finally they came and signed the contract with Apnnaghar, best property consultants in Bangalore. The world is running so fast that people don’t have the time to do mundane things that can otherwise be taken care of by others at a small price- because time is valuable, time is money! For example, an IT professional going to work every day, travelling in Bangalore traffic for 2 hours, just because he has a house that far from the job, makes no sense in today’s scenario. Wouldn’t it be better if we could change the way in which people live their lives, torturing themselves just for the sake of it? Wouldn’t it be better if the IT professional, who happens to have a home in one corner of Bangalore and a new job in another, can simply move to a rental in the area near his office, while renting out his owned apartment? But the reality is, people don’t do that because they are pressed for time to handle the logistics and long-term maintenance involved in both renting a house and renting out a home. But with the advent of property management services in Bangalore, like Apnnaghar, everything has become easy-you have the right people to do the job for you! Many a times decisions about the property you are going to buy or going to sell or renting it or furnishing it or not-can be very difficult and Apnnaghar, best property consultants in Bangalore, are there to advice you using their panel of experts in every aspect of your property. We have experts for any area of property you might have a problem with and using us, you can make the decision-making process logical, viable and fruitful. Apnnaghar, one of the property management services in Bangalore, stands out as an all-in-one solution. The savings, love and hard work that you put into your home or apartment furnishing to interior decorations. Obviously, one would not want that to wasted away due to improper management or bad renters,etc. Finding the best property consultants in Bangalore is the most difficult thing- if a manager is not good enough, the very reason of consultation becomes a moot point. Apnnaghar takes care of all the smallest to smallest things for the convenience of the customers. Our loyal customers have immense faith in our quality, commitment and have recommended many others in Bangalore to avail our services. 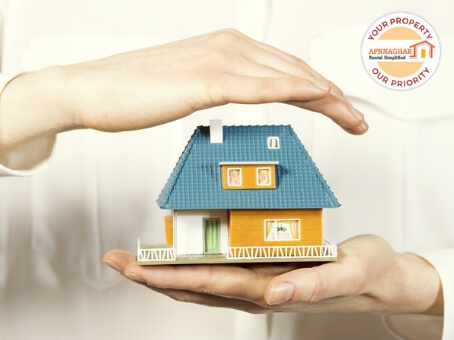 We also make sure of utmost security of your property to prevent misuse of it in your absence. Many a times, there are conflicts that arise due to the renters and it becomes difficult to solve these issues, especially from out of town or country. Renewal of lease or modifications also become difficult. 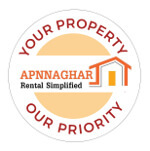 Apnnaghar, best property management services in Bangalore, offers to take care of these issues like, finding the right rental services, the renters, drafting the documentations, etc. 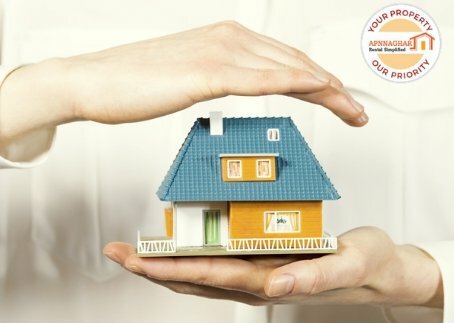 So, when you need the property solutions, think of Apnnaghar-your home is safe in the hands of Apnnaghar. Is This Possible To Rent A House In Bangalore Without Broker? Untold Truths Revealed/ Exposed!